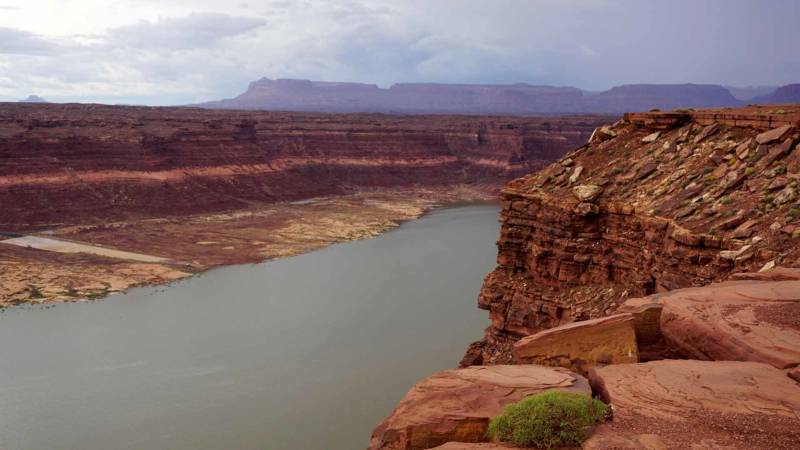 Despite a last-minute frenzy of deal-making, the federal government announced that it will begin taking “protective actions” on the Colorado River, where a long-running drought has put the water supply for 40 million people at risk. The seven states that use the river had been trying to broker their own solution, a collective water-sharing deal, with a Jan. 31 deadline to get it done. While most states had agreed, California and Arizona couldn’t finalize the agreement in time. The river has a storied history of water battles and litigation, and many hoped the deal could be a cooperative breakthrough. Allocating water is traditionally managed by the states, so the federal government’s move marks a major shift. Short of the states completing a deal between them, the U.S. Department of the Interior is asking them for recommendations on how to protect the river’s supply, with an eye toward August, when decisions about the upcoming year are generally made. Interior holds “broad authority,” according to Commissioner Burman, to make decisions on the lower Colorado River. But if the states can agree on a water sharing plan soon, the commissioner says, she will halt the federal process. A 19-year drought in the watershed combined with overuse of the river have driven reservoir levels down in Lake Mead, the massive reservoir outside of Las Vegas. Water officials warn it’s dangerously close to the low point that would trigger an official “shortage” on the river. Arizona and Nevada’s water supplies would be cut back then, but California’s would not, because it holds the oldest water rights on the river. Under the states' still unratified drought deal, California and other states would begin reducing their water use before currently required, in order to preserve water levels in Lake Mead. The Colorado River supplies millions of people in Southern California, mostly through the Metropolitan Water District, as well as several major farming districts. Metropolitan had an incentive to sign onto the drought plan; if the river falls into shortage, it loses extra water that it has banked in Lake Mead. But some farming communities saw little reason to sign on, since they have the most secure water rights to the river. As the deadline passed, two parties, Arizona and California’s Imperial Irrigation District, had yet to agree to the plan. Arizona faced opposition from farming groups and others in the state, but was able to put together a package of financial incentives and water trading agreements to get everyone on board. Late on Thursday, the Legislature approved it, but state water officials still must officially sign off. “Working together, with a common goal in mind, there’s no limit to what we can achieve,” said Arizona Governor Doug Ducey as he signed the bills. Under the deal, the water that the Imperial Irrigation District would contribute to Lake Mead wouldn’t require additional cuts to its growers, since it’s already been freed up by conservation programs. But still, the district outlined several conditions for its support, including a request for $200 million from the federal government to restore the Salton Sea, a vast inland lake. Water levels there have been dropping, creating dust and air pollution in the surrounding community. In a statement, Imperial Irrigation District General Manager Henry Martinez said the district "will continue to work diligently to reach agreement" and it "expects the work on the DCP (drought contingency plan) to be completed promptly." The federal Farm Bill passed in December included language authorizing restoration funding, but Imperial says it’s still in discussions about how to access it. Its board says it won’t vote to approve the drought plan until that’s in place.